Buben & ZorwegThe Buben & Zorweg Solitaire Vision safe. 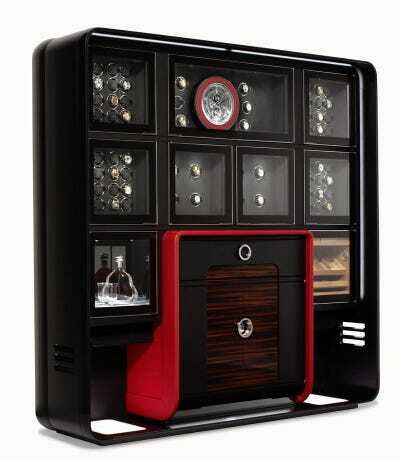 Germany luxury brand Buben & Zorweg makes safes for the ultra-rich. 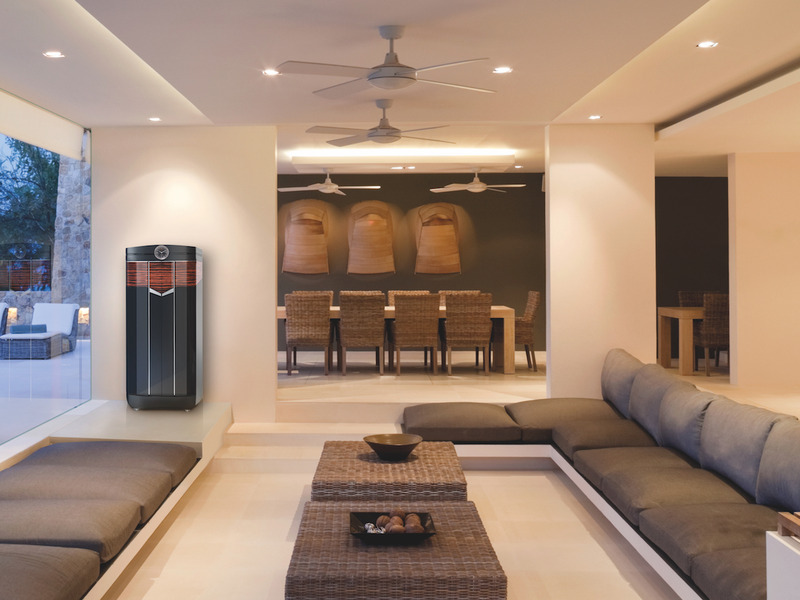 The company’s bespoke-made safes can cost over $US386,000 and can be customised extensively to the client’s specification. The company estimates that their average customer has around $US4 million in disposable income. 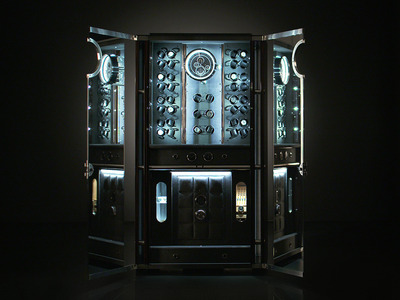 Head of design Eberhard Hagmann recalled making a safe for a customer who wished to safeguard an antique worth $US40 million. When you own inanimate objects worth as much as several houses, no cost is too great for the safe in which you store those objects securely. Peace of mind, as they say, is priceless. If you did want to put a price on it, though, German luxury brand Buben & Zorweg would like it to be $US263,800 for their Solitaire Vision model. For that princely sum, clients receive a safe hand-crafted in Germany, protected by 16mm-thick bulletproof spy glass, housing 46 watch-holders, a humidor and, of course, a Bluetooth-enabled HiFi speaker system. If you really wanted to push the boat out, you could opt for the Treasury – Buben & Zorweg’s most expensive base model – which starts at $US386,000 in the US. BUBEN&ZORWEGThe Buben & Zorweg Treasury. The 600 kg (1,323 lb) Goliath is adorned with Italian nappa leather and features a giant flying minute tourbillon clock right in the middle. If you thought that Buben & Zorweg’s safes were just for show, though, think again – all their safes are VdS-certified (the highest mark of quality available). Unsurprisingly, it’s rich people – the company estimated that their average customer has around $US4 million in disposable income. Speaking to Bloomberg, Eberhard Hagmann, head of design, said: “More and more, they want a good design, so when you see this object, you don’t know if it’s a safe or not. Apparently, clients come to the company with photos of their homes so that the safes can match their decor, and the level of customisation available is infinite. “Everything is possible at Buben & Zorweg,” the company’s head of international marketing, Michael Arnsteiner, told Business Insider. He says the company also builds bespoke safe rooms for clients, which start at €400,000 ($US463,000). 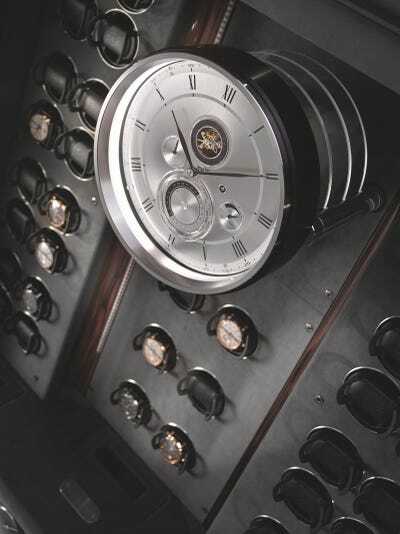 Hagmann recalled once designing a safe to match the interior of his client’s Aston Martin One-77. As far as what customers put in these safes, which alone are worth more than the average person’s most prized possessions, Hagmann says it varies, from guns to a Jimi Hendrix guitar. 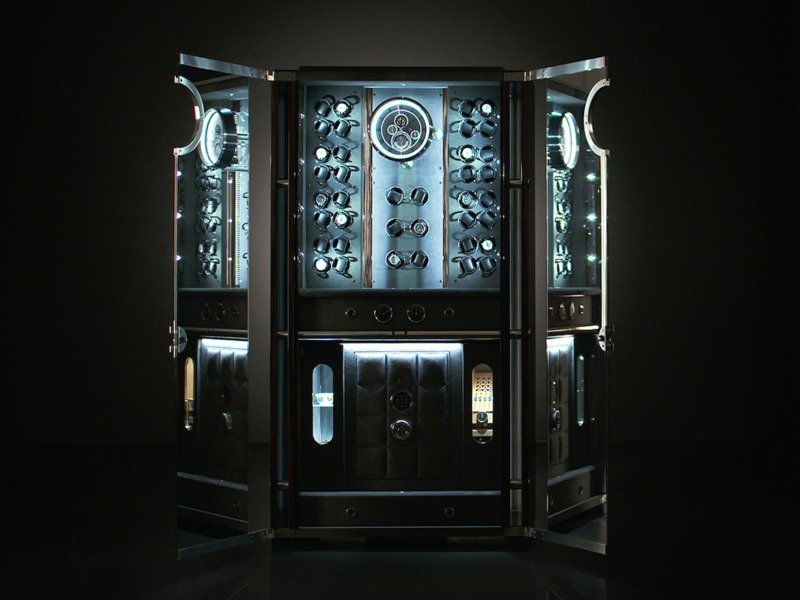 The designer once made a safe to hold one antique for a client worth $US40 million. Buben & ZorwegThe Buben & Zorweg Galaxy Deluxe in its natural habitat — a luxury home.